At NASA space apps Dnipro! The interest in new, so-called democratized, space technologies is heating up. 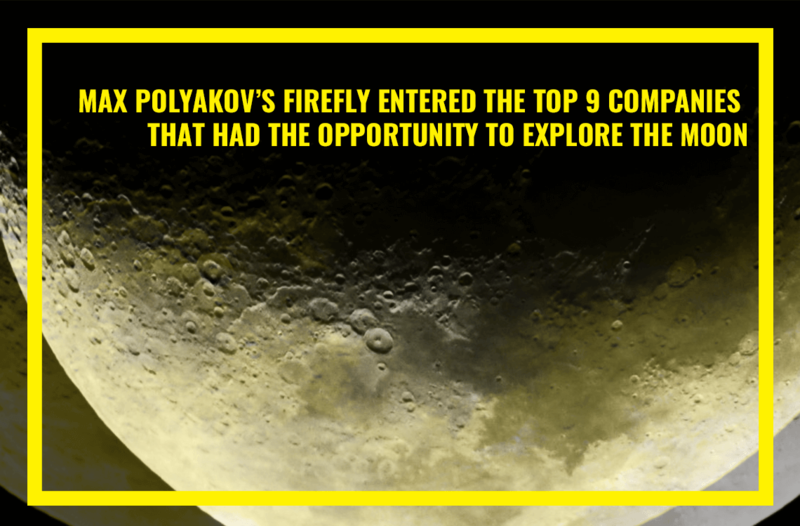 As the founder and manager of EOS, FireFly and Space Systems Engineering, Max Polyakov (Maxym Polyakov) suggests that plenty of opportunities in the space industry remain unrealized. That is why, he is eager to nurture and strengthen the ecosystem for space startups and let Ukrainians put their ideas into action. It is with great excitement that Max Polyakov, founder of Association Noosphere, hosts NASA Space Apps Challenge in Dnipro, Ukraine. It is an international hackathon, a 48-hour sprint, held annually to bring thousands of amateurs, space enthusiasts and designers together to take on real-life problems to do with space, the environment, technology and exploration. Organizations and philanthropists, such as Maxym Polyakov from Association Noosphere, support the teams, so they can become part of this global community. Max Polyakov is convinced that the event will encourage collaboration and unity in solving humanity's greatest problems. Global organizers reported on a striking development of the Space Apps community in 2017, welcoming 25 000 participants from 69 countries in 187 locations across the world. Ukraine joined the Space Apps location in 2016 for the first time. It was not for nothing, as our country's participation resulted in a spectacular success. The victory of the Mars Hopper project in the People’s Choice category grabbed the headlines. The team of engineers, designers and coders developed a plane to investigate the poles of Mars and their surroundings. They made a real life prototype of a plane launched using CO2. The Mars Hopper won the local competition in Kyiv, and eventually, competed against 128 other projects at the Space Apps international stage. Thousands of Ukrainians kept their fingers crossed and voted for the Mars Hooper. The project was highly welcomed by the public worldwide, which allowed the team to make it to the Top-25 in international online voting, making it one of the global award winners. Max Polyakov admitted that such a remarkable example inspired Ukrainian youth who are passionate about space technologies and pushed them to take part in future hackathons. In 2017, the company EOS, founded by Maxym Polyakov, became a general partner and supported hackathons held in Kiev, Dnipro, Kropyvnytskiy. EOS core activities correlated with the general themes of Space Apps Challenge 2017 that were relevant to Earth. Max Polyakov’s EOS created a cloud-based platform and analytics tool that helps transform big GIS‑data into smart data for businesses, scientific research and public use. As hackathon mentors, EOS specialists helped teams improve their projects focused on monitoring natural disasters and phenomena, hydrosphere and cryosphere, ecological systems, etc. In addition to useful advice and knowledge sharing, EOS by Max Polyakov presented special motivational prizes to teams that had addressed challenges in the “NASA Earth Science” category. 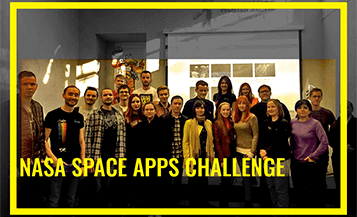 This was the first time Dnipro hosted the NASA Space Apps Challenge, which was only made possible through support from Maxym Polyakov, Founder of Association Noosphere. 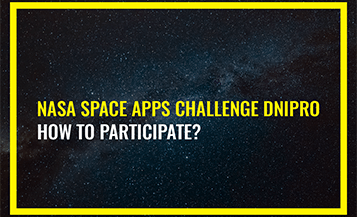 As a part of the NASA Space Apps Challenge, the team of organizers held an informal gathering, a Data Bootcamp, to let newcomers from diverse backgrounds get familiar with the hackathon format, schedule and rules. Moreover, invited speakers and mentors gave introductory talks and workshops on getting started with microcontrollers, interesting uses of data and technologies, and project selection. Boot Camp attendees learnt about the essential skills necessary to take part in hackathons. This day-long event organized by a team from Max Polyakov’s Noosphere offered a great balance between learning, sharing and enjoying, with the added advantage that attendees could find team members before the hackathon. 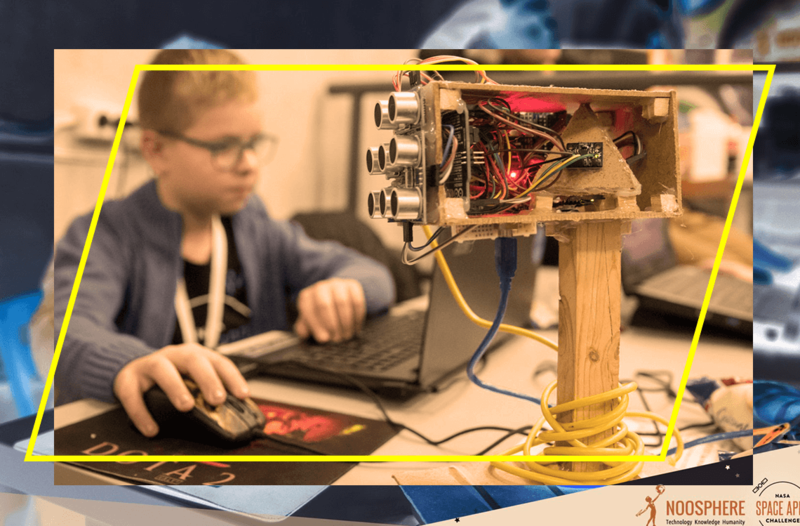 On April 28-29, 2017 students, young engineers, coders, and designers formed 12 teams and started hacking. Along with suitable workplace/working facilities, they were served up with space-snacks - such as Mars bars and Milky Way bars. The organizing team from Max Polyakov’s Noosphere invited eight experts in various fields who volunteered their time to mentor the participants and share their expertise. Among them were Oleksandr Butkaliuk, Mars Hopper enginneer, Vitaliy Khit, Cofounder of the company Absolutist, Vitaliy Galkin, IT Director at Promodo, Anton Krasniy, cofounder of Murka, Illya Zobnov, Product Manager at Together Networks and representatives from EOS. Specifically, contestants works at solving specific challenges, which were carefully crafted by NASA experts. They were encouraged to make use of publicly available NASA data to work out open-source solutions applicable to both life in space and on Earth. Max Polyakov in his parting words noticed that beginners and young researchers make good use of the opportunity to gain practical knowledge and improve their skills. for consideration in the global judging process. The first one uses NASA's data to make predictions where and when the fire will happen. The latter provides passengers with an opportunity to discover the places they fly over, merging entertainment and learning into one. The Diversity Project, built by 6 young engineers, emerged as the winners according to public voting. Their team came up with the concept of a terrestrial hub that looks like a sub-orbital station. Such a hub replicates real space conditions and serves as not only an entertaining, but also an educational platform for kids and young space geeks. Although the team took 8th place worldwide in the People’s Choice nomination just 3 away from the TOP-5, the organizing team appreciated that the Diversity Project could capture public’s imagination. As mentioned before, a special prize has been set up by EOS, founded by Max Polyakov. In Dnipro it went to the Solar Meerkat Project, a set of tools and applications, which allow them to plan power supply and consumption rationally. In fact, all participants were awarded NASA Space Apps Challenge diplomas and gifts. They gave positive feedbacks and appreciated the friendly atmosphere, opportunities for networking and a truly unforgettable experience. Given that the hackathon format requires completing projects in just 48 hours, the night work was exhausting. However, the local hackathon lead from Max Polyakov’s Noosphere offered hot food, soft drinks and sleeping bags to make the participant’s stay more pleasant. Global winners receive an invitation to attend a NASA launch. Such an opportunity was a powerful extra incentive for participants to apply their best efforts at the hackathon. The organizing team from Max Polyakov’s Noosphere is always ready to provide participants with information about Space Apps in Dnipro, help with registration and project submission process, etc. Keep an eye out for event dates on our social media and make sure you don’t miss an incredible space-weekend out! 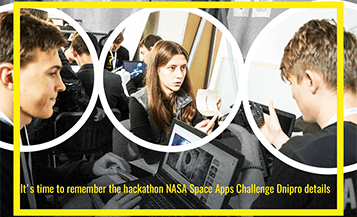 October 18-20, 2019, the NASA Space Apps Challenge will be held in Dnipro, an annual hackathon that gathers thousands of innovators, developers and designers. Recall that in 2017, the Space Apps Challenge gathered 25 000 participants from around the world and became the largest in the history of the competition. In the framework of the hackathon, the participants unite in teams and in 48 hours solve problems in one of the six categories of space and environment research. The main goal - the use of space technology to solve problems on Earth and in space. Among the participants of the hackathon are students, engineers, technologists, scientists, designers, software developers, innovators, and all who are interested in innovation and space. On March 7-9, the finals of the international competition for rocketing sports, the Firefly International Rocketry Event 2019, took place on the Firefly Aerospace test site in Texas. The participants are teams from the USA and Ukraine. Event organizers: Firefly Aerospace - Max Polyakov Aerospace Company, Association Noosphere, USA National Association of Rocketry (NAR). The Ukrainian team was represented by Denis Khmil, Olga Khmil, Sergey Serdyukov, Valery Bidovsky and Alexander Radchenko. Olexander Radchenko - the third place in the S7 class (multistage large-scale copies of real rockets). Max Polyakov, congratulates all the winners and participants and wishes further success! 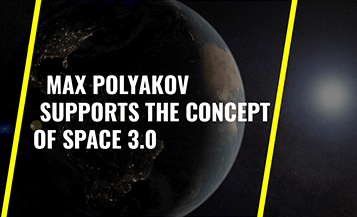 According to Max Polyakov, Founder of the private company Firefly Aerospace, the third era of the space industry has come in the world, which is becoming known as Space 3.0 or NewSpace. At first, governments invested heavily in space exploration. Now private companies with large budgets entered the industry. NewSpace Global, a firm that tracks the private space industry, claims that over the past five years, the number of space companies has grown from 120 to over 1000. NewSpace Global expects this number to grow to 10 000 companies in the next ten years. Many companies and organizations are interested in launching small satellites into earth orbit. However, it is quite expensive. Max Polyakov cheapen this process. His company plans to launch lightweight, efficient carriers into space for delivering CubeSat satellites to orbit. Firefly engineers have already designed two models of launch vehicles. The National Antarctic Scientific Center (NANC) and the EOS Data Analytics company will create a map of Antarctica based on images from space. The project will monitor the continental ice cover, sea blooms, vegetation, and others. This is the first public-private partnership in Ukraine for the earth's surface from space analysis. According to Max Polyakov, the activities of EOS coincide with the environmental focus of Ukrainian scientists in Antarctica research projects. The first results of cooperation are expected in March 2019. Max Polyakov’s Association Noosphere, together with the whole world, is pleased to welcome the new year with significant cosmic discoveries. The interplanetary station «New Horizons» flew past the Ultima Thule object. On January 1, 2019, the device reached one of the most distant objects in the solar system in the Pluto vicinity. The first photo was taken thanks to the Johns Hopkins University. Guitarist Brian May wrote a song about this mission and made it public when the probe flew past an asteroid. The China National Space Administration has successfully planted the station with the lunar rover «Chang'e 4». This unit first landed on the far side of the Moon. The first photo taken after landing the interplanetary station. Max Polyakov, Founder of Association Noosphere, noted the one importance categories on the NASA Space Apps Challenge 2018, in which participants engaged in the analysis of natural disasters and their impact on life on Earth. The United Nations Office for Disaster Risk Reduction (UNISDR) reported that over 10 years since 2005, the damage from natural disasters amounted to 1,4 trillion. 1,7 billion people were affected. About 70% of deaths are caused by earthquakes and tsunamis. A geographic information system (GIS) is a good planning tool for a disaster, when specialists create life support maps and infrastructure. Remote sensing technology can update information on the most appropriate locations for telecommunications, electrical networks, bridges and power stations. Interferometric synthetic aperture radar (InSAR), uses comparative images to obtain detailed visualization of the planet’s surface motion. Thus, the technology has proven its ability to monitor the volcanic eruption in Iceland in 2014 and the earthquake in New Zealand in 2016. GIS technology became widespread after the tsunami in the Indian Ocean in 2004. It was the first of its kind event that was recorded from space. About 650 satellite images were taken to assess the scale of the emergency. The NASA Space Apps Dnipro 2019 date is already known. Hackathon from NASA will be held October 18-20 in all cities on Earth. The registration form for the organizers will open in January. 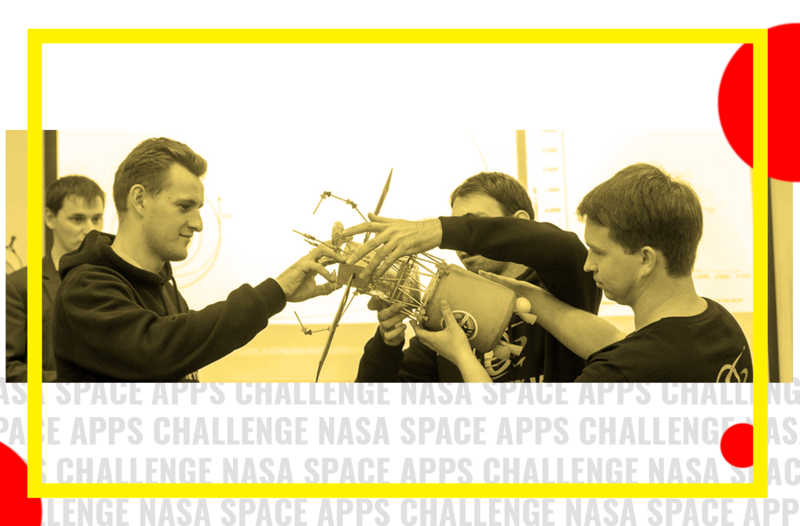 NASA has been conducting the Space Apps Challenge for the 8th consecutive year. This is a unique international hackathon for scientists, programmers, designers, engineers, builders, technologists and other professionals. Teams from different cities around the world, using free and open data NASA solve space and earth global problems. In 2018, Space Apps gathered more than 18,000 participants at more than 200 events in 75 countries. • The NASA Space Apps 2018 global selection winners will be announced in early 2019. NASA announced the companies with which the space agency will work on the CLPS program. Businesses are competing to fund NASA by delivering the best deals on delivering the right equipment and materials to the satellite. 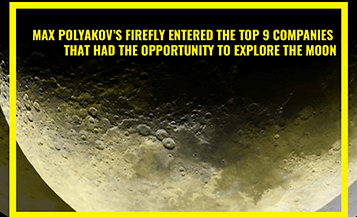 Max Polyakov's Firefly Aerospace is developing light aircraft for delivering cargo to a geosynchronous orbit. The services of the company are able to satisfy the purpose of the mission. The total amount of funding for CLPS members is USD 2 billion. The CLPS program provides humanity with a chance to be sent back to the Moon. Max Polyakov spoke about the participant NASA Space Apps Dnipro, who was remembered by both the organizers and participants of the 2018 hackathon. Kirill Blagodarov is the youngest participant in the hackathon 2018. Kirill owns 3-D modeling, studies the Python programming language, understands the problem of space debris, develops models of manned vehicles and is interested in robotics. By the way, Kirill is a regular participant in engineering events organized by Association Noosphere. For example, at the BestRoboFest 2017 he presented a robotic model of the solar system. And in 2018 as part of the team “Aytishka” took 2nd place, creating a project on Scratch. While everyone is waiting for the final international stage of the Space Apps Challenge 2018, Max Polyakov, Founder of Association Noosphere, recalls the 2017 hackathon. The winners of the local selection in the Dnipro showed good results. 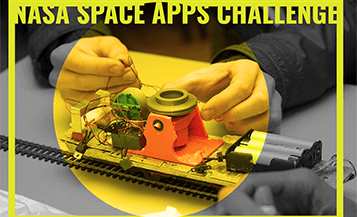 The Spacer team took 8th place in the overall NASA Space Apps Challenge ranking. They competed in the People's Choice nomination and got into the TOP-10. Two more projects from Dnipro - FireProb and FlightSight - fought to win the Global Awards nomination. • Best Use of Data - LEMON PY - an application that shows the location of allergenic plants on the map. • Best Use of Hardware - HALA - a holographic display for NASA Earthdata. • Best Mission Concept - SPACE BAR - visualization of data on landslides, their prediction. • Galactic Impact - RADAWAY - an application that shows the personal balance of the amount and risk of radiation. • Most Inspirational - GROVR - is a social game that encourages decentralized vertical farming. • People's Choice - NESTFOLD - deployable capsules that are ejected from the air in disaster areas to save victims. Max Polyakov, spoke separately about the category “Can you build a...”. This category is for those who can create. Participants were offered to design prototypes of buildings, tools and robots - only their imagination served as a restriction. • Orbital Derbis Hunter was able to design a spacecraft that will transport orbital debris to the moon. 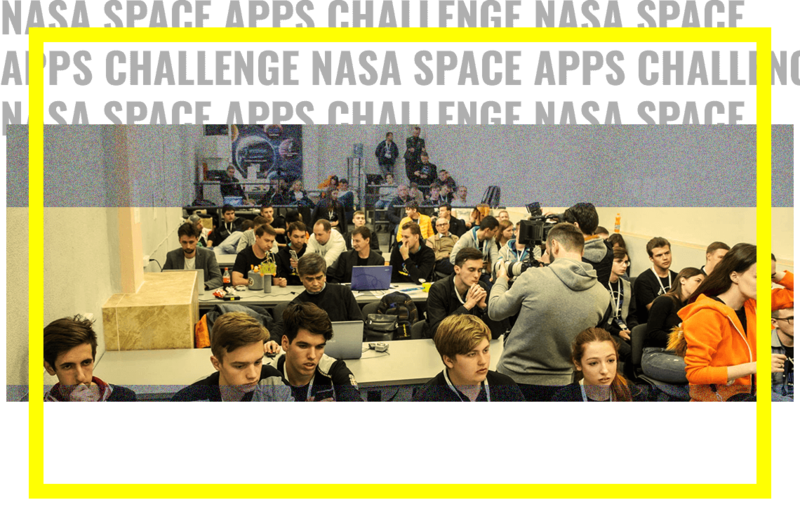 The NASA Space Apps Challenge 2018 hackathon opened at 10 o'clock on October 20. In the Dnipro, the local NASA competition was initiated by Max Polyakov. Registration took place before the end of the day on October 20. Total formed 15 teams. Among the participants were schoolchildren, students and already experienced engineers. The youngest participant of the hackathon 10-year-old Kirill participated in the development of 3 projects at once. All teams received certificates, and two local selection nominees also received gifts from the organizers. So, the winners in the Dnipro are: WATW and Interstellar Dolphin. These two teams go to the international stage of the hackathon. The experience level of the jury and mentors is one of the most important criteria for a quality event, according to Max Polyakov. On October 13, a meeting of participants of the NASA Space Apps Challenge was held at the Engineering School. The program of the event included a presentation of the hackathon, the performance of the finalists of the Vernadsky Challenge and communication with the organizers. Max Polyakov says that all participants in the competition will receive additional materials: a registration form, transfers of NASA assignments and links to useful resources. 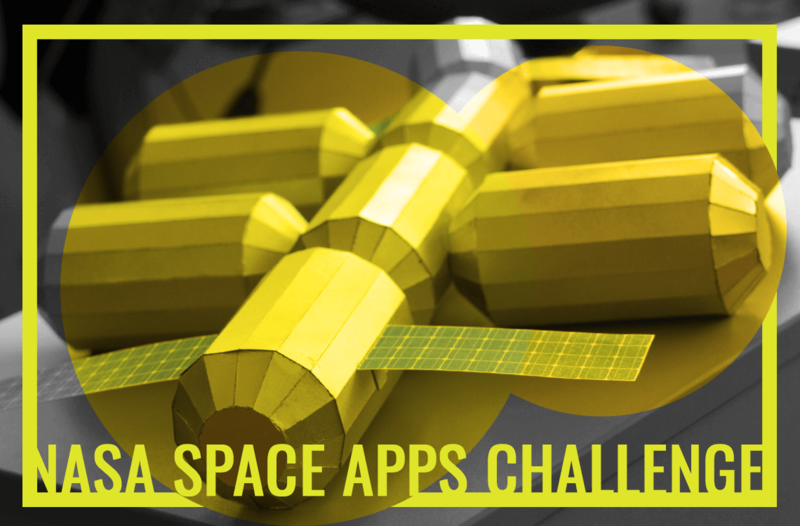 NASA holds an international contest Space Apps Challenge every year since 2012. Ukraine joined the organizers in 2017 and led the first hackathon in the Dnipro. This contributed to Max Polyakov, Founder of Association Noosphere. Format Space Apps Challenge - two days of a scientific marathon on the study of the Earth and Space. Each year, NASA announces the theme and categories of the competition. Teams from all over the world are finding solutions to their tasks and presenting them to the jury. Participants in Space Apps Challenge: students, scientists, engineers, designers, software developers, technologists, analysts, innovators. At the first stage, a local jury in the Dnipro chooses two winners, and the third project is selected by a People's Choice. Three winning projects participate in the second stage. At the second, international stage of the contest, NASA experts are selected by six teams from around the world who will have the opportunity to see the launch of the missile at the US space center. The Spacer team from the Dnipro reached the world level and took the eighth place in the People's Choice nomination. 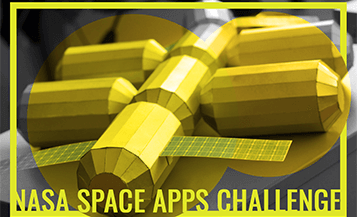 From 19 to 21 October in cities around the world will host the International Space Apps Challenge NASA 2018. In 2017, 25000 people developed and submitted 2000 projects. Max Polyakov, founder of Association Noosphere, recalls the “Student rocket” project at the Noosphere Engineering School. All students are from the Physics and Technology Faculty of Dnipro National University. They are working on the design of rockets of various classes. The guys are helped by scientific mentors and consultants, Alexey Kulik and Vadim Solntsev. After the successful launch of the Caliber 75 rocket, students began designing a second Caliber 85 rocket and already carry out planned tests. In July, they prepared a test bench, designed a measuring stand, calibrated it and tested an updated engine. During the testing, they discovered a vibration in the stand. The team is continuing to improve the design. After Star Track, the most enterprising participants in the space tournament were inspired by a common idea and made it happen it. Their project is called “Student rocket”. 13 students designed a rocket and a prototype of a CanSat satellite with the help of the mentors at the Noosphere Engineering School. 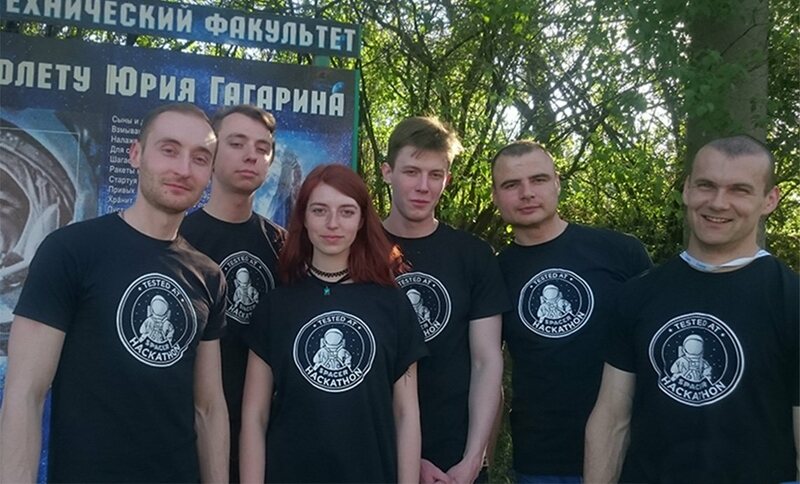 On April 16, students launched the “Caliber 75” and a satellite. The payload weight was 400 g, the altitude was 2.5 km, the satellite launch speed was 70 m/s and the flight time was 3,3 seconds. Max Polyakov, Founder of Association Noosphere, says that students are designing a second rocket which will reach an altitude of 3.5-5 km. The team plans to launch this fall. Association Noosphere is known for organizing educational and entertaining events that put up participants to the space topics. Star Track-2 is one of this kind of events. Its final stage was held on June 9. Students from the universities of the Dnipro presented their space projects in several categories. In the category of CanSat satellites has won the teams called FIRE and T. S. Industries. In the modeling of microsatellite carrier rockets, the best were teams called Oduvanchiki and Maximus. In the topic of missile complex the leader was DniproSkyLab team. The nomination namedFreestyle was defeated by teams called Albatross, Mechtatel, Moon Screen, Compo Rocket and Space Brain. Max Polyakov, Founder of Association Noosphere, hopes that the winners of the tournament will take part in the autumn NASA space hackathon that will take place from 19 to 21 October. Max Polyakov, Founder of Association Noosphere, answered when will the long-awaited NASA Space apps Challenge 2018 take place. The event will be held from 19 to 21 October. 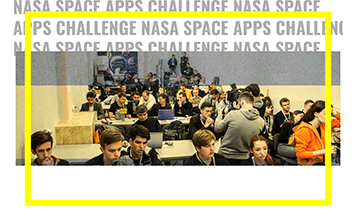 Space apps Challenge is a worldwide hackathon that gathers specialists from different industries. They find solutions to the problems of IT, space exploration, ecology and other fields of human activity. The jury's task is to choose the 2 best projects that will take place at the Global Awards stage. International judges will soon announce the common winner. 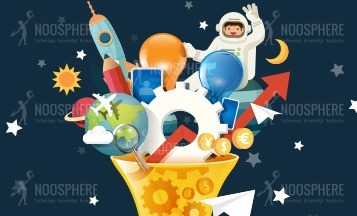 Association Noosphere invites Ukrainians to participate in the NASA hackathon in the Dnipro. One of the teams, that participated in Space Apps Dnipro in 2017, took the chance to compete in another space-oriented event. The Star Track Tournament, inspired by Max Polyakov’s Noosphere, was held on December 2, 2017 in Dnipro. Participants were encouraged to put forward solutions on three categories: CanSats, Advanced Rocket Systems, and Free Style. A team of young researchers led by Stepan Vasyliv, DniproSkyLAB, came up with the idea to for a launch vehicle for CanSat launches combined with samples of some technical elements. Along with 4 other teams, DniproSkyLAB was announced as the winner. The organizing team from Max Polyakov’s Noosphere presented a cash prize, which is 5000 UAH, to the winning teams. Furthermore, they got an excellent opportunity to give their developments a test run. Let’s find out more about two winning teams at NASA Space Apps Dnipro, that were nominated for global judging in 2017. According to the local judges decision, first place went to the FireProb project, a fire-monitoring app. It offers an interface that would enable people to locate spreading fires and warn the nearest fire station in just one click. Meet a second nominee, the FlightSight project, is an easy-to-use app to entertain and educate passengers during flights. People will see interesting places they fly over, receive some late news and information about forthcoming events. EOS successfully partnered with Space Apps hackathons in Ukraine. The company’s activity, deep GIS analysis, blended well with the goals of NASA’s challenges. The general themes for Space Apps 2017 focused on Earth and included challenges such as Earth Science data, hydrosphere and cryosphere, monitoring natural disasters and phenomena, ecological systems, and the creative interpretation of NASA data. A number of EOS specialists became mentors to the teams to help them improve their projects. Max Polyakov, managing partner of Noosphere Ventures, founded EOS in 2016. 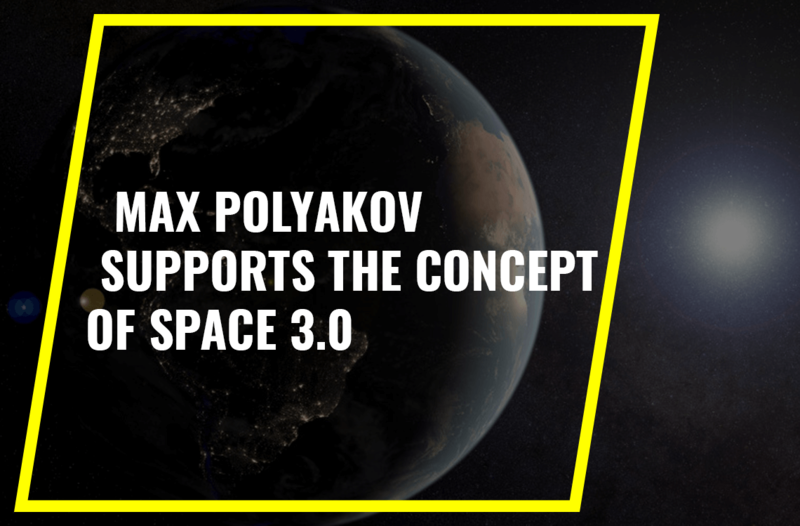 Inspired by the victory of the Ukrainian project, Mars Hopper, at a global hackathon in 2016, six young engineers formed the Spacer team and took part in NASA Space Apps Dnipro, sponsored by Maxym Polyakov and Noosphere. The Spacer team came up with the idea of a terrestrial hub, a suborbital space station prototype. Furnished with software and hardware tools, it is an educational platform for kids and young space researchers. The Diversity project was warmly welcomed among space fans and enthusiasts across the world. The team finished in the 8th place worldwide at NASA Space Apps Challenge 2017. 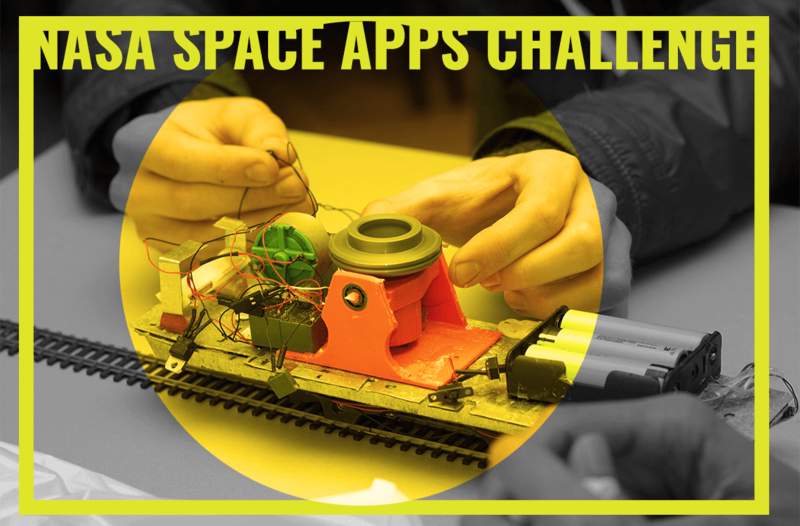 When is the next Space Apps Challenge? The date hasn’t been announced yet. 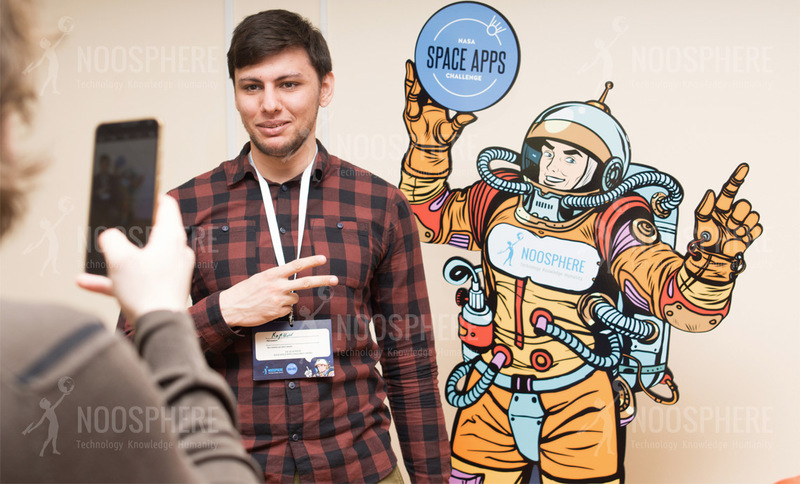 Be sure to follow news about Space Apps Dnipro by Max Polyakov’s Noosphere on social media. What is a Data Bootcamp? Organizers from Max Polyakov’s Noosphere bring together all the participants some weeks before the event to get familiar with the hackathon format/challenges and let them find team members. The Data Bootcamp includes a mix of talks and hands-on workshops. Where can I see the 2017 Award winners? Visit the Awards & Recognitions page. To see the winners from Space Apps Dnipro 2017, powered by Maxym Polyakov and Noosphere, visit our Location page. What do hackathon winners get when they win? Thanks to the support of Noosphere by Max Polyakov, 3 winning teams in Dnipro are awarded with gifts. 6 teams, selected by a global panel of judges, will be invited to a rocket launch at a NASA spaceport in the USA.